Come celebrate the kickoff of EAST with atxGALS. We will be hosting our official kickoff afterparty on Saturday, November 10th from 6-11pm. 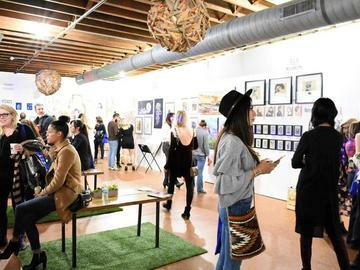 The event will feature art by 15 emerging local women artists, an open bar, small bites, live DJ, swag bags, and a raffle benefiting Girls Empowerment Network. ***The East Austin Studio Tour (EAST) happens once a year, and it's one of the largest self-guided art events spanning two weekends in November. atxGALS will have its first official stop for the tour, and it's one you won't want to miss! The tour hours are Saturday and Sunday: November 10th-11th, and November 17th-18th from 11am-6pm.